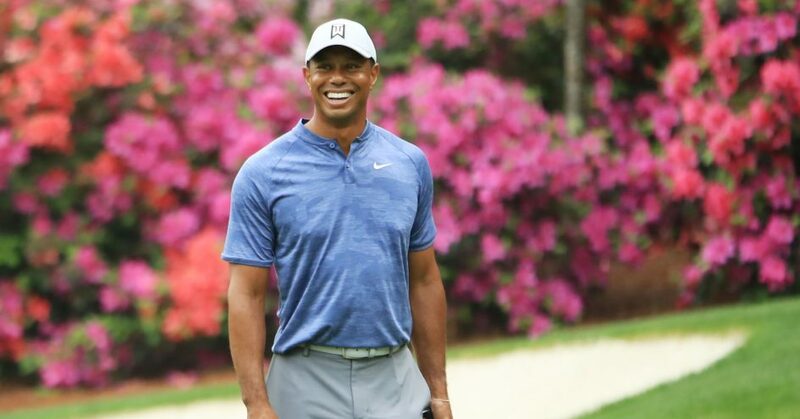 Tiger Woods on Sunday achieved his 15th major win, and his fifth Masters, at the 2019 Masters, following a drought of championship victories that lasted more than a decade. That also means Woods’ apparel and accessories outfitter on the green, Nike, wins big. The value of Woods’ Sunday victory for Nike is roughly $22,540,000, according to Apex Marketing. This number is equivalent to the brand value that the athletic apparel company received from Woods’ on-camera exposure during the Final Round of the Masters broadcast on CBS, the firm said. The iconic Nike swoosh was featured on Woods’ hat, shirt, pants and shoes. By Sunday afternoon, some of the Tiger Woods-branded apparel and accessories for men on Nike’s website were sold out. Nike’s ties to Woods date back to the debut of the golfer’s professional career in 1996 at the Greater Milwaukee Open. At the time, Nike had reportedly just signed a five-year deal with Woods for $40 million. And Woods has since re-signed his contract with the company numerous times. Nike stuck with Woods again in 2017 when the golfer was charged with driving under the influence, and found asleep behind the wheel of his car. That bet on Woods is clearly paying off for Nike now. Apex has also estimated that the Monster Energy brand made about $958,333 for being featured on Woods’ golf bag, while Bridgestone made about $134,167 for being on Woods’ golf ball, which was shown during close-up shots of various putts on Sunday.